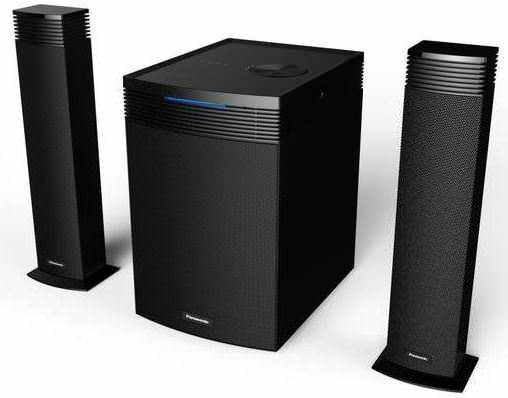 Panasonic today has launched two new speaker systems in India called the SC-HT40GW-K and SC-HT20GW-K. The new multiple speaker systems offer compact sub-woofers and easy connectors for most media devices. The new Panasonic speaker models come with a handcrafted wooden cabinet that as per the brand enhances the bass effect. They offer a better combination of vocal clarity, and are suitable for most televisions. They are compatible with Bluetooth-enabled devices. The SC-HT40GW-K speaker offers a 4.1 channel speaker set that delivers 80WRMS of power, while the SC-HT20GW-K speaker system comes with 2.1 channel speaker duo that delivers 60WRMS of power. The former offers a wall-mounted design, while the latter has a tall boy design. The Panasonic SC-HT40GW-K and SC-HT20GW-K speaker systems have been priced at Rs 7,590 and Rs 5,990 respectively, and will be available across channels in the country.